Pascal Gross says Brighton won't be scared of anyone in the Premier League this coming season but admits there won't be an easy game. 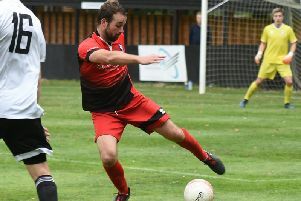 Gross starred in his first campaign in English football last year, scoring seven goals and providing eight assists, and was named Albion's player of the season as they finished 15th in the top flight. The German midfielder signed a new four-year deal in June and feels the Seagulls will have to work even harder this year to stay in the Premier League again. Speaking to www.brightonandhovealbion.com, he said: "I think the second year is always harder for everybody. For the first part of the season teams going up are very self-confident because they've won a lot of games the year before. "I think you have to work even harder in the second year, especially in the Premier League. "Every team, every club is getting better, buying good players. So we have to be well prepared and know that it is very tough to do again what we did last year. "But we are also a good and a strong team. We're not scared of anyone." Brighton begin the new season at Watford on August 11 and then play Manchester United, Liverpool, Tottenham and Manchester City in four of their following six league games. Gross said: “Of course I looked at the fixtures but I think every game is difficult in the Premier League. There is nothing where you say 'Okay, that's easy, I like to play against them first'. "It doesn't matter in my opinion but it's also hard to play against us. We have to be self-confident, I think, and believe in ourselves. "We know every team is good and every game is tough, but we have to look at ourselves."